10 Awesome Star Wars Projects That Got Cancelled. 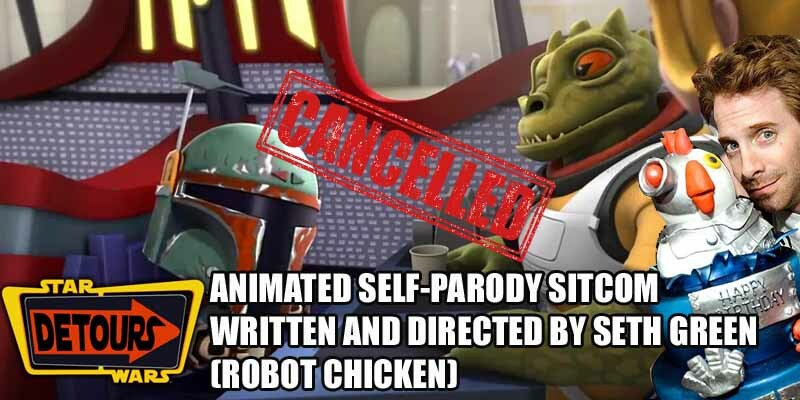 We’ve seen plenty of nice Star Wars spoofs on shows like Robot Chicken and Family Guy, and shortly before the takeover by Disney, George Lucas got tired of all of this happening outside of his control and decided to get in the game with Star Wars Detours, an animated self-parody sitcom written and directed by Seth Green of the Robot Chicken fame. Green and Lucas finished writing several seasons worth of episodes, but then Disney took over and decided that releasing this show before Episode VII would make people take the franchise less seriously, so they cancelled it.